Per-face hide tool in voxel surface mode implemented. CutFace in PaintRoom will hide voxel pieces too. In so way freeze/hide tools in paint room act on voxels as well. New blendmode - Highlight emissive. Read hint there. "To center mass" and "To bound center" in merge tool will move gizmo instead of object. Free-form pose deformation quality improved a lot. Math for transformation rewritten. 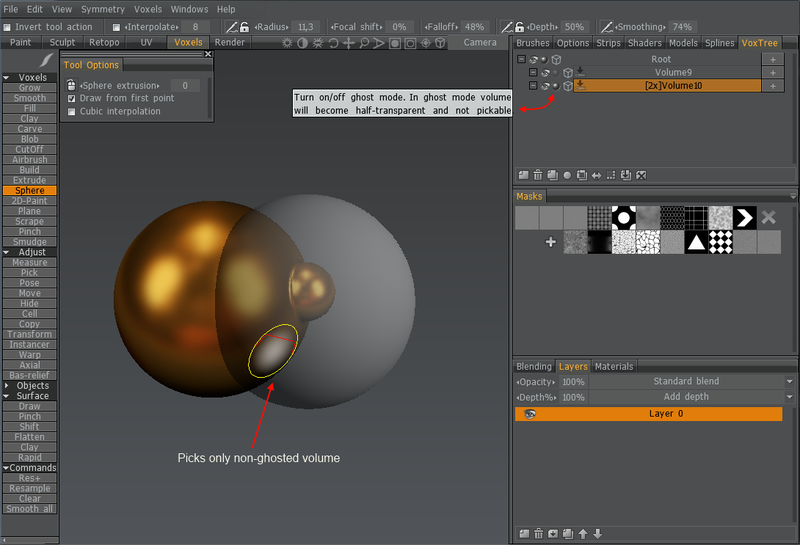 Mutiple uv-sets per object in FBX export/import supported. Import tiles as UV sets implemented for MV painting too. Some small fixes: renaming models in "Models/Splines" tab fixed + dropped models from VoxTree -> Models getting more intuitive names.